1. CP Daily Living: How can CDC help the CP community? 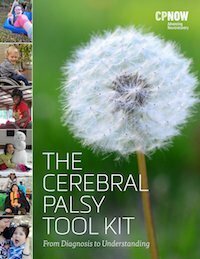 Dr. Marshalynn Yeargin-Allsopp: CDC is committed to continuing to provide essential data on cerebral palsy (CP). Communities can use CDC’s CP tracking data on the number and characteristics of children with CP, including information on CP subtype, walking ability, and co-occurring conditions. This information may be helpful in in planning for services, guiding policy, and promoting full participation in community and family life. We also co-host events to raise awareness of CP and engage local communities that collaborate with CDC on CP tracking. These events are free of charge and open to the public. This year, we will be partnering with University of Wisconsin-Madison to host an event on March 1, 2014. For more information about this event, please contact Julia Richardson at jrichardson1@cdc.gov. 2. CP Daily Living: Where do you get funding for your CP work? Dr. Marshalynn Yeargin-Allsopp: The Children’s Health Act of 2000 authorized the creation of the Autism and Developmental Disabilities Monitoring (ADDM) Network. The ADDM Network is a group of programs funded by CDC to estimate the number of children with autism spectrum disorder and other developmental disabilities. By using the infrastructure already in place for tracking autism spectrum disorder, and without additional funding, CDC has been able to track the number and characteristics of children with CP. 3. CP Daily Living: What type of studies do you conduct? What other types of studies or programming could you do to further our knowledge of CP? Dr. Marshalynn Yeargin-Allsopp: CDC’s work in CP focuses primarily on tracking. For example, we know that about 1 in 323 children has CP based on tracking in multiple U.S. communities. Tracking has helped us learn more about causes and the risks for CP in hopes of finding ways to prevent CP. For example, we reported that approximately 10 -15% of CP is due to events that occurred after the newborn period, such as head injuries, meningitis, or stroke from sickle cell disease. Some of these events are preventable with public health interventions such as child passenger safety measures and vaccinations (shots). Tracking younger children with CP in order to better understand when and what interventions are being used. Learning more about the risks of CP and ways to prevent it by conducting research among children with CP, such as special studies of children with CP identified by the ADDM Network. Studying issues across the lifespan, such as employment, by following up on adults with CP who were identified in childhood by the ADDM Network. 4. CP Daily Living: Why it is important to track how many people have CP? Are there any other agencies tracking this information? Dr. Marshalynn Yeargin-Allsopp: It is important to know how many children have CP so that appropriate plans can be made to support children with CP and their families. Understanding the number and characteristics of children with CP is key to promoting awareness of the conditions, helping communities coordinate service delivery, and identifying important clues for further research. CDC’s ADDM Network provides the most complete picture of the number and characteristics of children with CP in the United States. The ADDM Network is unique in that its methods are population-based, which means that we look at information on thousands of children from diverse communities across the country. In 2008, the ADDM Network sites that tracked CP represented approximately 4% of 8-year-olds in the United States. Because of the size of our population of children with CP, we are able to look at more than just the number of children with CP. We are also able to examine characteristics of children with CP and compare groups (such as boys and girls or White children and Black children). 5. CP Daily Living: I have heard people state that none of the issues which cause CP can be prevented, and the ones that can are already being studied by other fields (such as stroke and prematurity). What do you think about these statements? Dr. Marshalynn Yeargin-Allsopp: In most cases, we don’t know why children develop CP. Some preventable risks for CP have been identified. For example, babies with severe jaundice can develop kernicterus, which is a condition that occurs when severe jaundice goes untreated for too long is a known cause of CP. However, severe jaundice can be treated with special lights (phototherapy) and perhaps blood exchanges to stop the development of kernicterus. Similarly, routine vaccination of babies prevents many cases of meningitis, another known cause of brain damage that can, in turn, cause CP. Making sure that children are properly buckled in car seats or booster seats can help prevent head injury during a car accident; head injury is another cause of CP. CDC’s ongoing CP monitoring efforts provide the opportunity to examine trends over time in the number and characteristics of children with CP for whom the cause of their CP occurred after the first month of life and may have been prevented. This enables us to identify areas for additional prevention efforts as well as to evaluate whether current prevention efforts may be contributing to decreases the number of children with CP overall. 6. CP Daily Living: Are there ways for the CP community to collaborate and extend or join studies in order to determine what links may exist between what other fields are studying and their condition to the development of CP such as prematurity? Dr. Marshalynn Yeargin-Allsopp: There are many opportunities for collaboration between those studying CP and those studying other conditions. For example, in CDC’s most recent report, we found that many of the children with CP had co-occurring epilepsy and autism spectrum disorder. Of particular note, we found that about 7% of children identified with CP also had autism spectrum disorder. This means that autism spectrum disorder order is more common among children with CP than among their peers without CP. Information about the co-occurrence of CP and other conditions, such as autism spectrum disorder, can help direct research into shared risks and causes. 7. CP Daily Living: How does the CDC partner with private agencies and researchers to accomplish their goals and mission? Dr. Marshalynn Yeargin-Allsopp: Partnerships are essential to CDC’s work in CP. At the local level, we partner with local organizations in each of the four U.S. communities where CDC tracks CP. Without the ongoing support of these organizations, which range from public schools to pediatric specialty clinics, we would not be able to collect this important information on the number and characteristics of children with CP. At the state and national level, we also partner with organizations that provide services to and advocate on behalf of children, families, and adults living with CP. These partners help us connect with families and help us remember that tracking is about more than just the numbers—it’s about individual children and families that need support. Our national partners also help move our data to action and use it to support their own efforts. 8. CP Daily Living: One of our followers commented that she didn’t understand why CDC would focus at all on the CP community since it isn’t a disease. Can you comment on this? 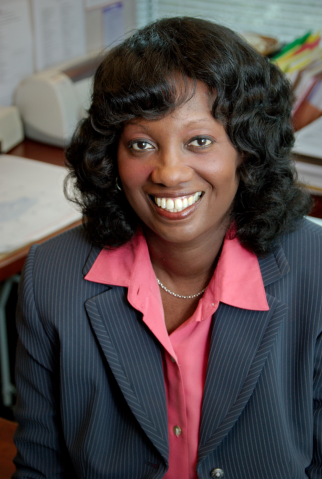 Dr. Marshalynn Yeargin-Allsopp: The mission of the CDC’s National Center on Birth Defects and Developmental Disabilities is to promote the health of babies, children, and adults and enhance the potential for full, productive living. Whether one considers CP a “condition” or “disease”, our ultimate goal to help parents, doctors, educators, and other key stakeholders understand more about CP so that improvements can be made to help children and families affected by CP. Please view this site………valuable information for those affected by CP, especially those who have aged-out of focused care.